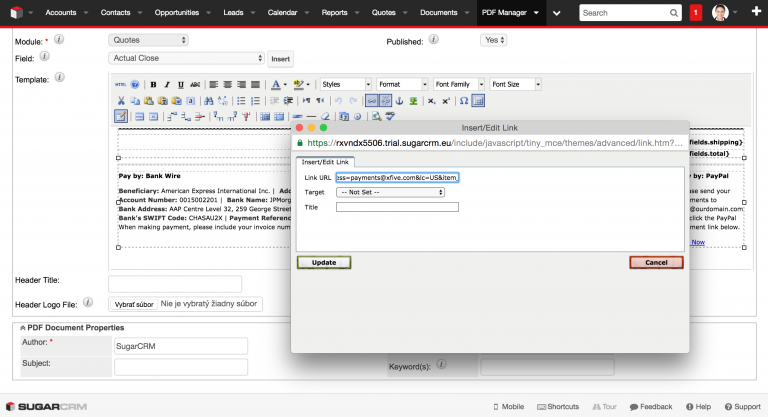 Ready to install and free to use quote templates for SugarCRM users. 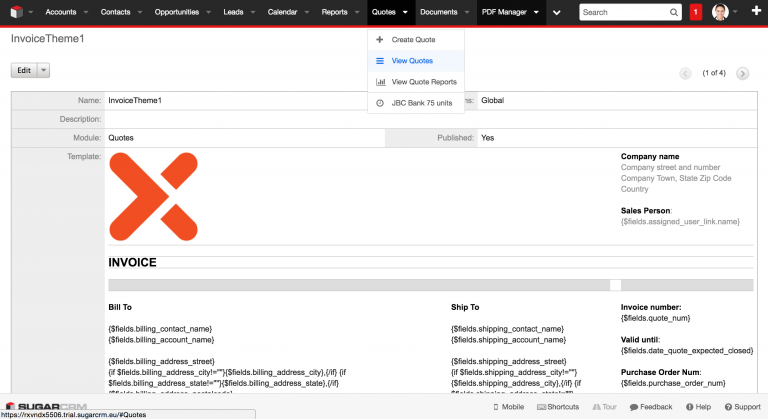 Enhance the look of your quote documents with these templates created on and prepared for SugarCRM Enterprise, v 7.7.1.2 hosted version. SugarCRM is one of the most popular CRM systems used worldwide. The relationship between the two of us started a long time ago, in the early 2000’s. It was a very short romance at the time; I was starting to code and PHP was my choice of programming language at the time. 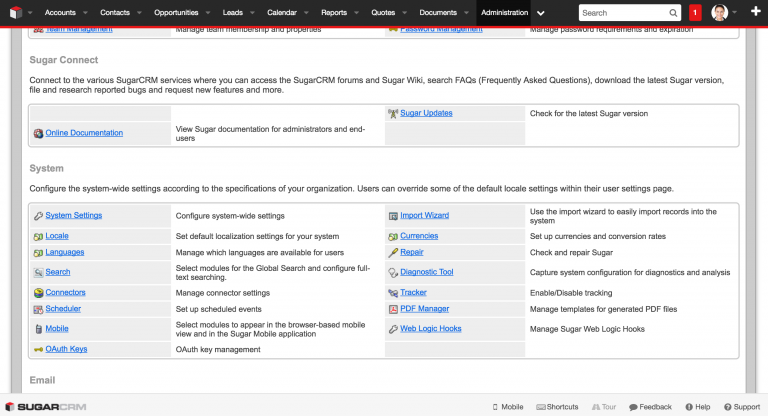 I ran across SugarCRM on some online repository of freely distributed software. I installed it, played with it for a while and then when I found no use of it at that time, it went to the trash. (sorry) Well, time has passed by and this short romance has come alive again. This time it wasn’t a development affection, instead I focused on client experience improvement. 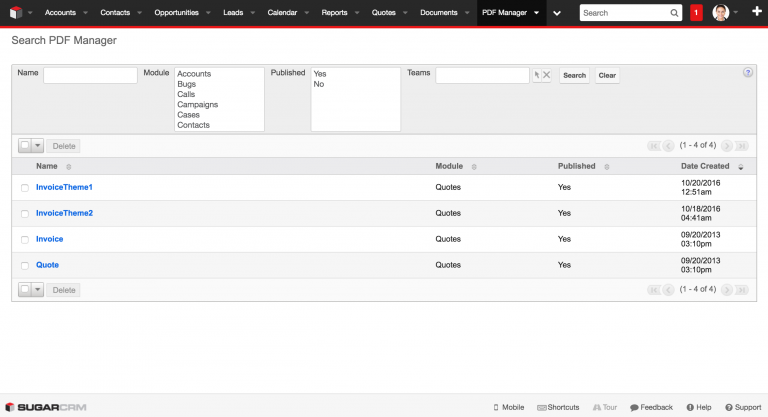 I’ve created alternative quote templates to replace default quote templates in SugarCRM, specifically. 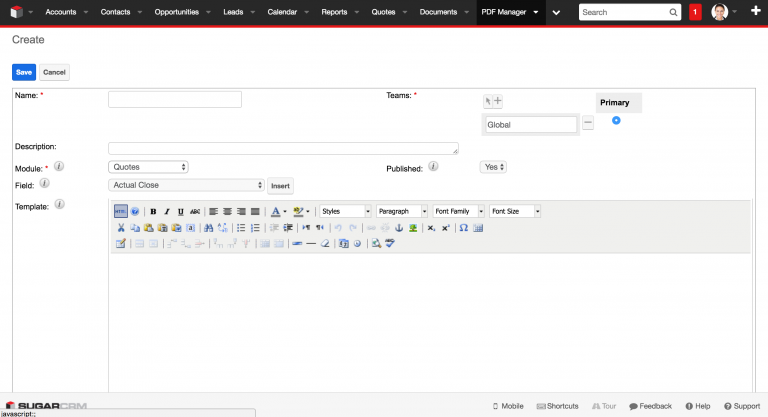 I’ve read forum posts about PDF templates managers and PDF rendering engines used in SugarCRM. Most of them were expressing frustration of how difficult is to change or edit the design of PDF templates, in this case quotes and invoices. I posted such an article myself. To put it on right track, I was using a version of SugarCRM where the users aren’t allowed to do any php scripting or module development as they are allowed to on locally installed versions of the software. 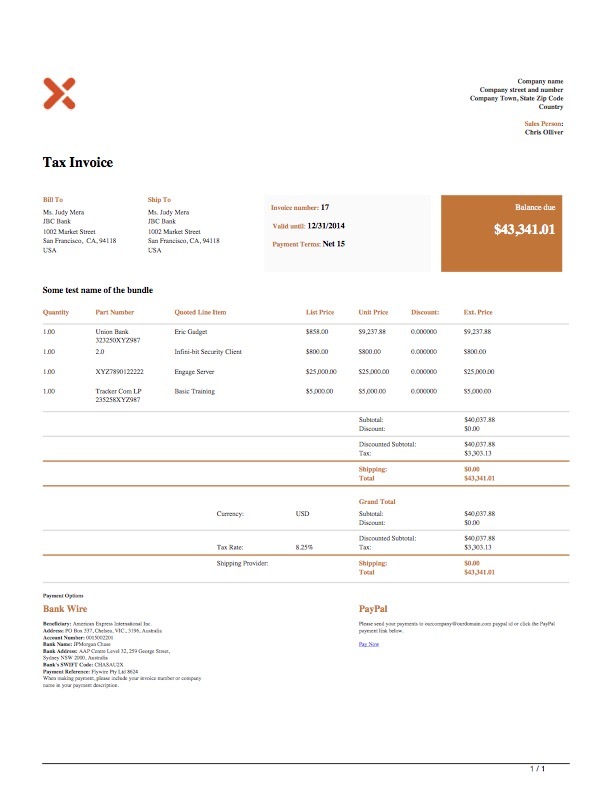 I’ve read a couple of interesting articles where other users found workarounds on how to create nicely css styled PDF templates for documents such as invoices and quotes. It’s a great article, but how about for users who don’t know how to program? 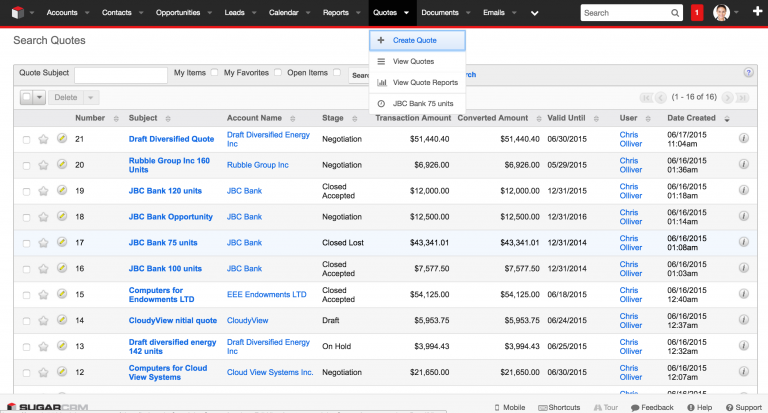 I’m sure lot of users are fighting when working with quote and invoice templates on the cloud version of SugarCRM. No hard work for you anymore! I’ve done all hard work for you. Feel free to pick any of these custom designed templates and use them for your quotes or invoices. 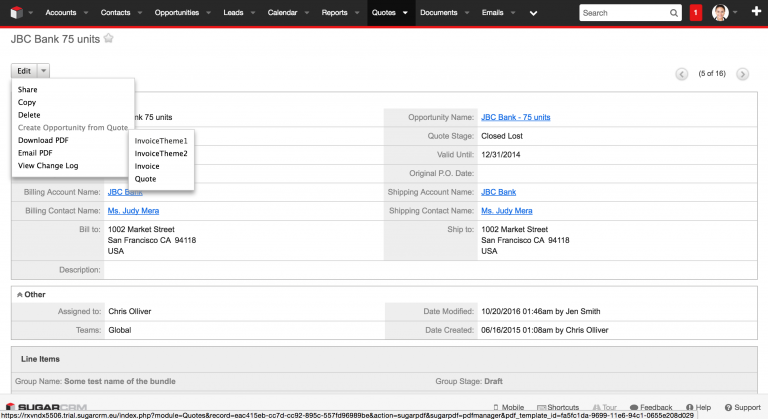 All templates were based on the default invoice template available in SugarCRM PDF manager section. Logos can be replaced by your company logo, please read the following SugarCRM forum post to learn how to replace it. The recommended height of the logo to use inside these templates is 150 pixels. 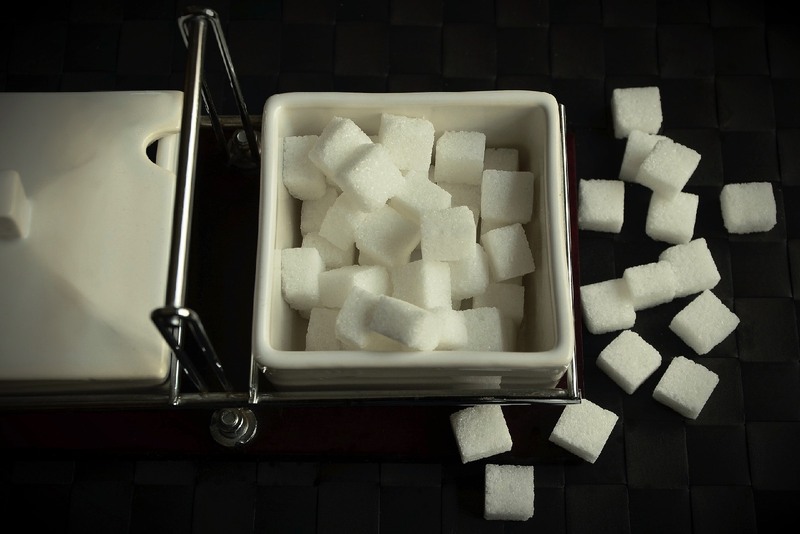 Sugar, a food for the brain cells. Yes, indeed! Let’s use those brain cells and follow my instructions how to install a custom quote template on your account. It’s a simple procedure. You can do it in 5 steps within 10 minutes of your precious time. To use templates you’ll need to have admin role granted on your account. Access this setting on the Administration screen as it’s shown in figure 1 below. Click the PDF Manager button in the system section and you’ll be directed to a section with all of your PDF documents listed on the page depending on pre-selected document filter. 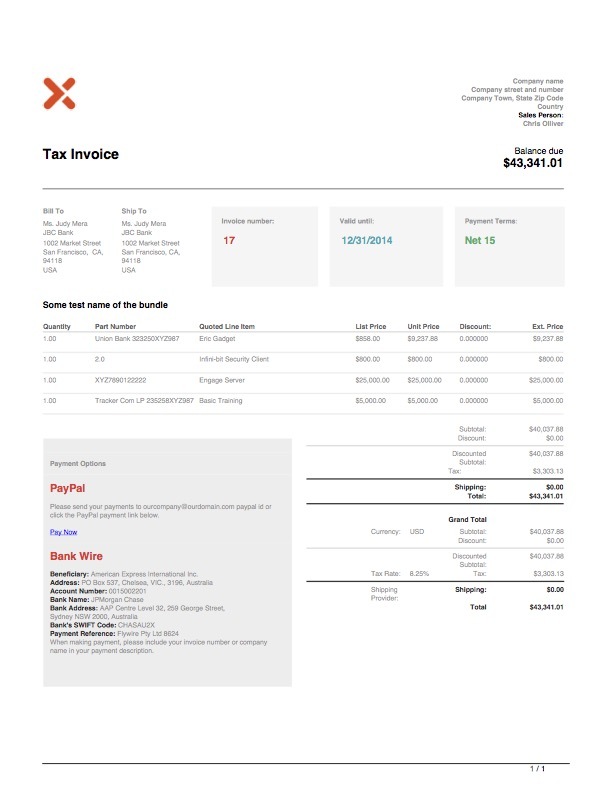 Figure 2 shows Quote and Invoice templates installed on the SugarCRM account. Hover over the PDF Manager item in your navigation bar and hit the Create PDF Template button to create a brand new template as shown in figure 3. On the Create PDF template page you will see a blank page with required fields to fill out (the ones with an asterisk). Pick the Quotes from the Module options, that will define what type of document you are creating. It’s important to choose the correct type. Figure 4 shows the Create PDF blank document page. Now it’s time for the magic! Open downloaded HTML file in your favorite text editor, select the code (ctrl+a/cmd+a) and copy (ctrl+c/cmd+c) it into your clipboard. Click the “HTML” button in the wysiwyg editor on the page to display the HTML Source editor and paste (ctrl+v/cmd+v) the HTML code inside (figure 5). Click the “Update” button to insert the new template code into system. When you’re happy with result click the Save button and your new template is ready to use for your quotes and invoices. You can preview your template directly in Templates section, however the rendering engine of SugarCRM doesn’t display design properly (figure 6). Not sure why it’s (not )working like that, but don’t worry as it works properly in the PDF generation process. The moment of the truth. Navigate to the Quotes section (figure 7) to view a list of your quotes you have created in your system. Pick any quote you have created to enter quote details page. 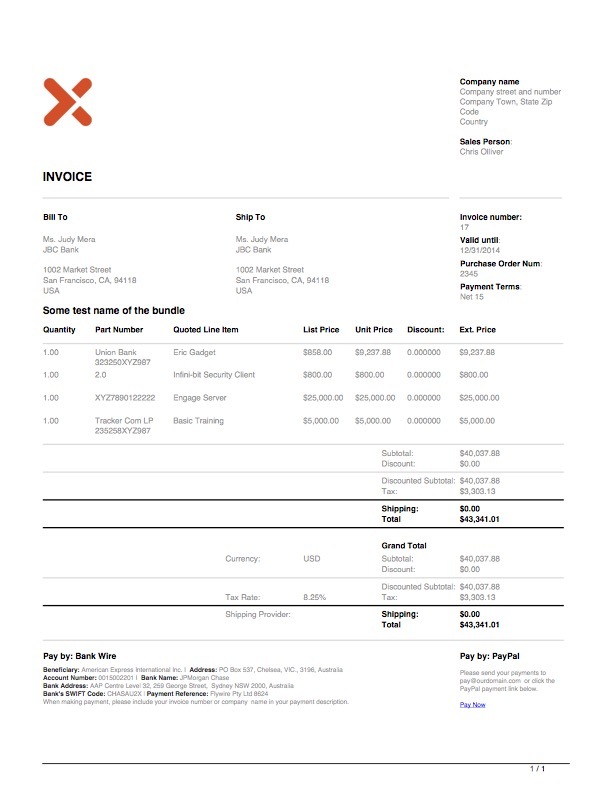 In quote detail view (figure 8) click the arrow on the Edit button to reveal dropdown with multiple action options and choose download PDF, which will activate a sub option with the names of the quote/invoice templates you have created recently. In that list will be the various quote templates you have created.. Once you download the file you can open it to verify if it’s rendered properly with your quote data. You can send it directly from SugarCRM (Email PDF option) or if you prefer to send it from your preferred email client you can send it as an attachment. You can print it and mail it by snail mail as well of course. such as a bank account or PayPal ID. 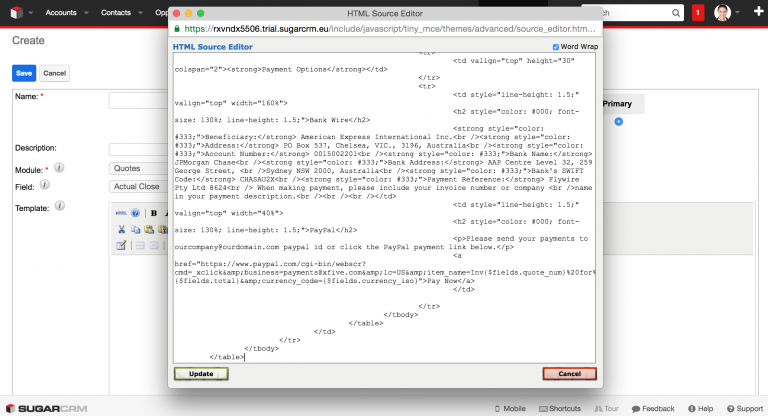 To edit the PayPal ID simply select the Pay Now link and hit the “Link” button in the wysiwyg editor on the quote template page and the Insert/Edit link popup window will appear (figure 9). In that window there’s a field “Link URL” where you will want to edit your predefined email address (PayPal ID) associated with your PayPal business account. Please make sure you do it, otherwise money will go to incorrect PayPal account. Templates listed in above gallery are designed for 1 page and they can handle as much as 5-7 line items without being split into multiple pages. You can achieve higher number of line items on 1 page by turning off the Grand Total section from the quote edit view. Do this by unchecking the box “Display Grand Total” (figure 10). Hey man just wanted you to know that, at least on template 3, when you wrote over the original logic something happened that made it only work with one bundle/group of line items. Anyway, thanks for doing this; these look nice. Don't feel weird about deleting this comment; I wouldn't want it up either ha.